Taking place in Omaha this week is the Midwest U.S. – Japan Association (MWJA) 50th Annual Conference. Among the attendees, was Dvorak Law Group. Represented by the firm were Seth Moen, partner, and Jesse Harding Campbell, communications director. Business leaders meet yearly to discuss economic relations between the American Midwest and Japan, says the MWJA. The Association is comprised of ten member States including Illinois, Indiana, Iowa, Kansas, Michigan, Minnesota, Missouri, Nebraska, Ohio, and Wisconsin. At this year’s conference, over 400 U.S. and Japanese delegates attended. 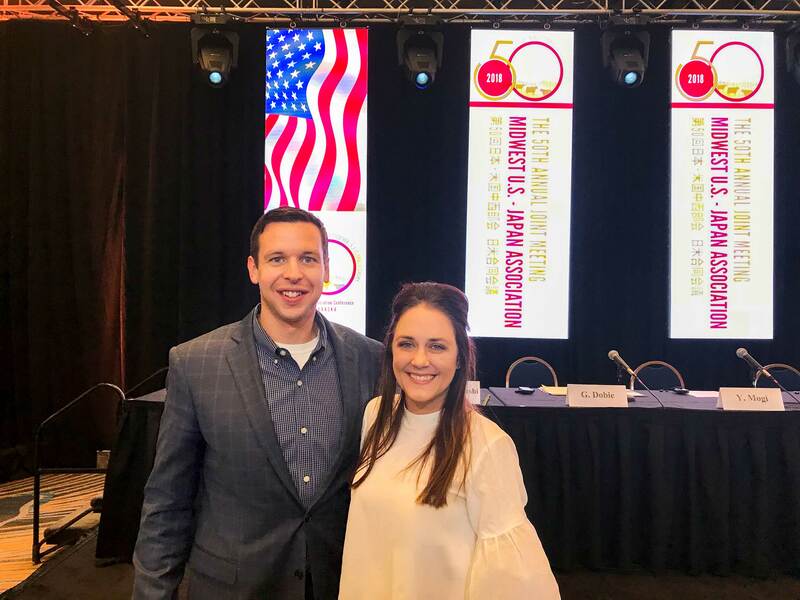 By attending the Midwest U.S. – Japan Association Annual Conference, it allows Dvorak Law Group to form and grow valuable relationships. This includes not only companies, but also, individuals throughout Nebraska, the Midwest, and Japan. It also presents a valuable opportunity to enhance the firm’s knowledge of the business and trade climate with Japan. As a result, it assists our clients who are looking to, or already, trade/do business in Japan. 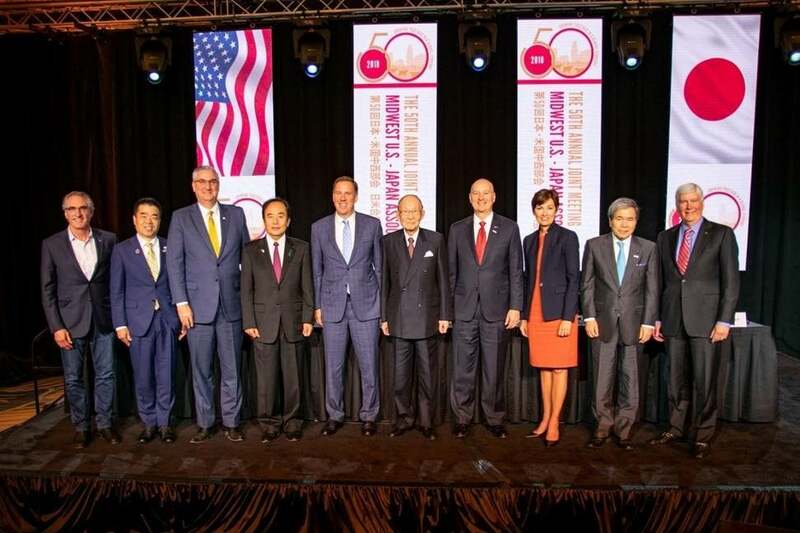 Both U.S. and Japanese governors participate in the opening ceremonies for the Midwest U.S.-Japan Association Conference. Photo Credit: Nebraska Governor’s Office. Speakers at the 50th Midwest U.S. – Japan Association Annual Conference included McKinney, U.S. Department of Agriculture Under Secretary for Trade and Foreign Agricultural Affairs; Ambassador Gregg Doud, Chief Agricultural Negotiator with the U.S. Trade Reprehensive; Kawasaki; J.P. Morgan and Co.; Toyota Motor North America; Preferred Popcorn; and even more. Dvorak Law Group attends several international events, such as Lisbon and China. Learn more about MWJA by clicking here.